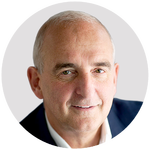 Roger Cohen joined The New York Times in 1990. He was a foreign correspondent for more than a decade before becoming acting foreign editor on Sept. 11, 2001, and foreign editor six months later. Since 2004, he has written a column for The International New York Times, formerly known as The International Herald Tribune. In 2009 he was named a columnist of The New York Times. His columns appear every Wednesday and Saturday. Mr. Cohen has written “Hearts Grown Brutal: Sagas of Sarajevo,” an account of the wars of Yugoslavia’s destruction, and “Soldiers and Slaves: American POWs Trapped by the Nazis’ Final Gamble.” He has also co-written a biography of Gen. H. Norman Schwarzkopf, “In the Eye of the Storm.” His family memoir, “The Girl From Human Street: Ghosts of Memory in a Jewish Family,” was published in January 2015. Raised in South Africa and England, he is a naturalized American.